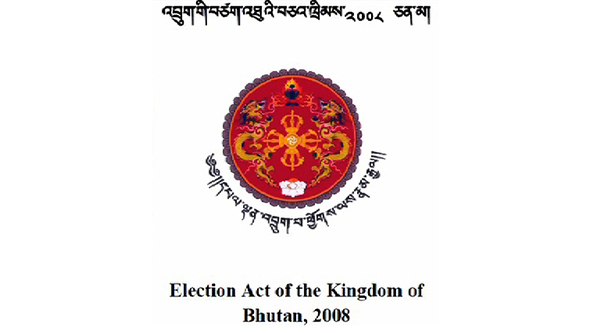 The National Law Review Taskforce’s report on the harmonization and consolidation of laws in Bhutan has recommended amending the Election Act to restrict political parties from replacing candidates after the primary round of election. According to the report, the Constitution does not require the political parties to declare their candidates before the primary election. The parties have to submit a letter of intent with a tentative list of candidates for the primary round of election. But the Election Commission made the declaration of candidates before the primary round a requirement for the past two National Assembly elections, and even now for the upcoming election. The taskforce has cited several negative consequences such as instigating corrupt practices among parties and candidates, and parties not taking primary round seriously if replacement of candidates after the primary round is allowed. However, not all parties agree with the recommendations made by the taskforce. “The present system is good. For instance, if a party which is not strong but with some good candidates goes out in the primary round, it will give opportunity for them to join another party to contest in the general election,” Sonam Jatsho, the General Secretary of the People’s Democratic Party, said. On the other hand, the Bhutan Kuen-Nyam Party (BKP) shared inconsistencies with the laws itself. “The law is not very clear whether we have to submit all 47 names in the list of tentative candidates. However, the election commission interprets whereby all candidates’ names are required. If that is the case, the law also allows candidates of parties who have not qualified in primary to join other parties in general round,” Sonam Tobgay, the Vice President of BKP, said. Dr Tandi Dorji from the Druk Nyamrup Tshogpa (DNT), shared his discontentment with the taskforce for picking on just one provision from the Election Act.